This recipe is something Heather looks forward to every Thanksgiving and Christmas. I had it for the first time three Thanksgivings ago, and it is now a must for me as well. This year, Heather made a special vegan apple cranberry bake for us. We ate it over Smokey Maple Tempeh, which was crazy good! It's a bit sweet but the perfect combination! You could eat this as a side, dessert, or on top of your meat replacement. For those of you who are not vegan, her family eats it with turkey. 4. Add 1 cup of sugar and stir mixture. Pour mixture in casserole dish. 5. 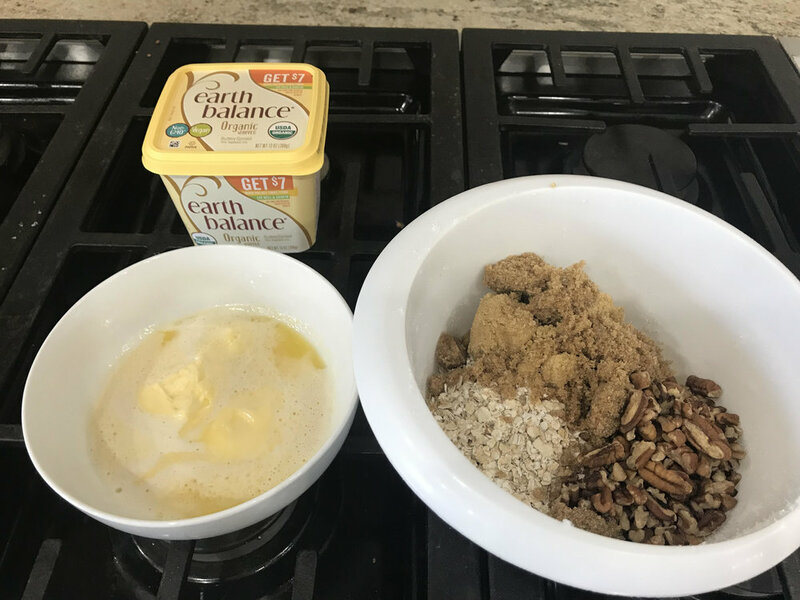 In a separate bowl, mix 2 cup of oats, 1 cup of brown sugar, 1/2 cup chopped pecans, and 4 tbsp melted vegan butter. It will be clumpy. 6. Add clumpy mixture on top of the apple dish. 7. Bake for 20-25 minutes or until topping is golden brown. 8. Serve warm and as a side, dessert, or on top of your meat replacement. We sadly did not get a picture of the casserole dish when it was done cooking. It was scooped up and placed on plates faster than we could snap a picture! 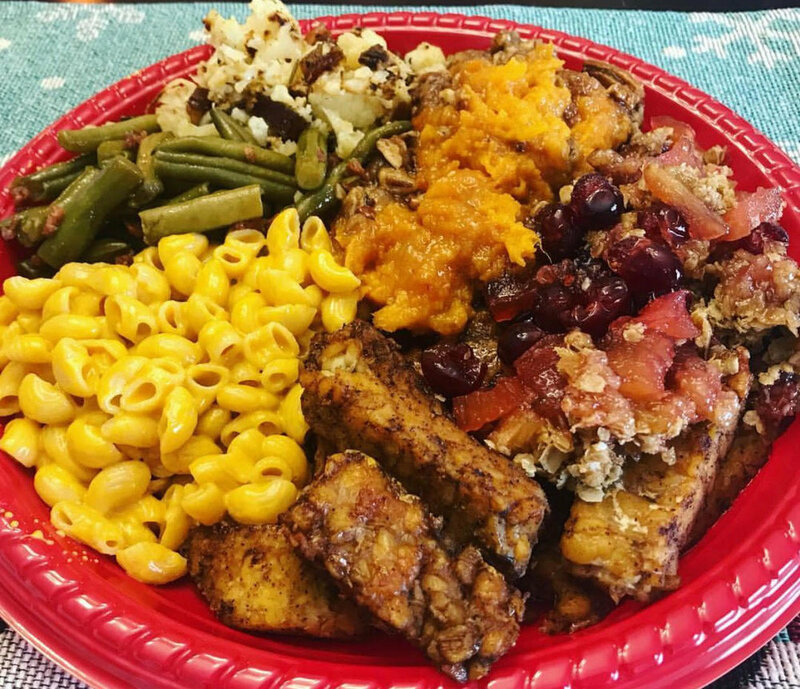 Heather did however get a picture of it on top of her smokey maple tempeh and pilled high with other treats from our incredible vegan & gluten free Christmas dinner.